One of the duties of the Planning and Sustainability Commission is oversight of the City’s Climate Action Plan. This week we got our second annual update on the progress of the plan. Last year when we got the first report, it took several slides to show how efforts in different sectors contribute to our overall carbon reduction efforts. Well done! 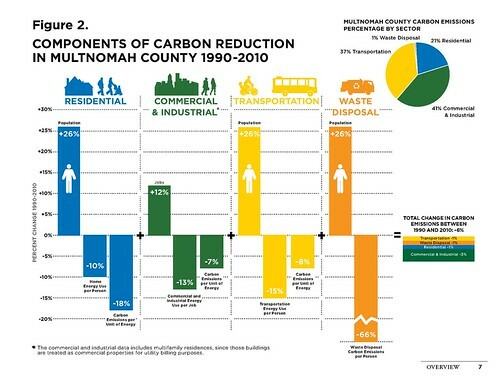 My thanks and congratulations to the Bureau of Planning and Sustainability staff, not just for this wonderful graphic, but for a great plan that we’re truly making progress on.